The Dragon Quest Monsters 20th anniversary “Coming-of-Age Ceremony” broadcast just wrapped up a short while ago. A couple of announcements were made, including one that’s particularly interesting but is currently lacking details. Square Enix has confirmed that a brand new Dragon Quest Monsters console game is in development. 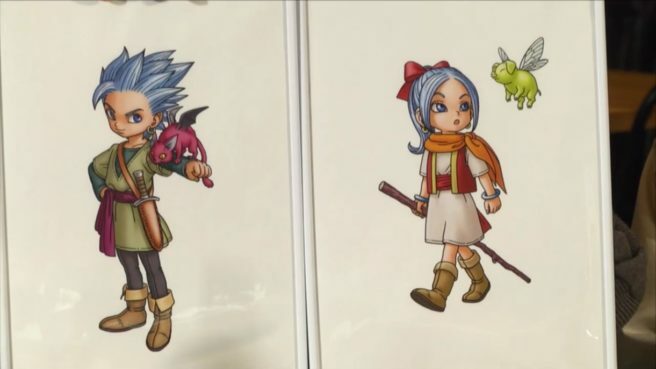 Not much is known at present, though we can say it will star Erik and Mia from Dragon Quest XI. It is also not a part of the Dragon Quest Monsters: Joker series or a remake. We aren’t typically keen on posting about new projects that don’t have a platform tied to them, but given Dragon Quest Monsters’ history on Nintendo platforms, we do believe that there’s a very strong chance this one will end up on Switch. If that turns out to be the case, we’ll keep you posted about the title in the future.